Robert Grondwaldt has established a $20,000 scholarship for first generation Philadelphia School District students attending LeBow College. Robert became an active volunteer at Drexel beginning 1989 by coordinating the Drexel Alumni Club of Dallas for eight years. Currently, he sits on LeBow's Accounting Advisory Board. Robert Grondwaldt was recognized at the Accounting Excellence Banquet for his exemplary career in accounting; his dedication to Drexel; and for his establishment of a $20,000 scholarship for first generation Philadelphia School District students attending LeBow College. Grondwaldt graduated from Drexel in June of 1982 and immediately began a 20-year career with Mobil Oil Corporation working in Paulsboro, N.J.; Valley Forge, Pa.; Dallas, Texas; New York, N.Y.; and Fairfax, Va. Robert credits his co-op experiences in cost, managerial and financial accounting in three different corporations for his success at Mobil Oil. He has been fortunate to travel to 31 foreign countries primarily as an auditor and feels the numerous Drexel organizations he was a member of contributed to his success meeting people, developing working relationships and experiencing new cultures. During his undergraduate years at Drexel, he was a member of JV Soccer, the Accounting Society, the Society for the Advancement of Management, Ski Club and Sigma Alpha Mu Fraternity. He served as president of the fraternity his senior year. 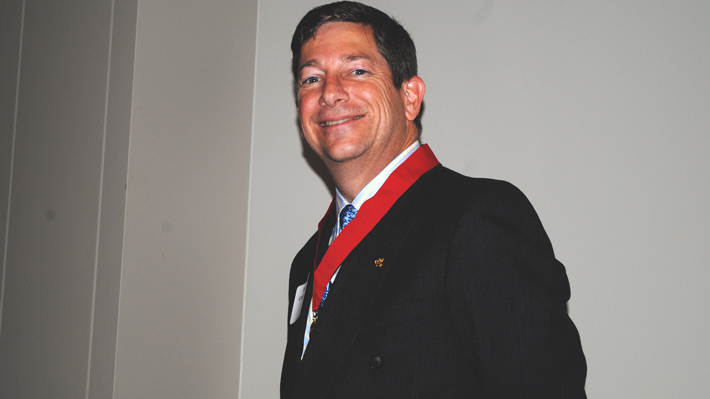 Following graduation, Robert became an active volunteer at Drexel beginning 1989 by coordinating the Drexel Alumni Club of Dallas for eight years. Currently, he sits on LeBow’s Accounting Advisory Board. Robert was a first-generation college student in his family and owes the majority of his professional and personal success to his experience at Drexel University. In addition to funding the scholarship, he has bequeathed a slightly larger amount in his will for LeBow.